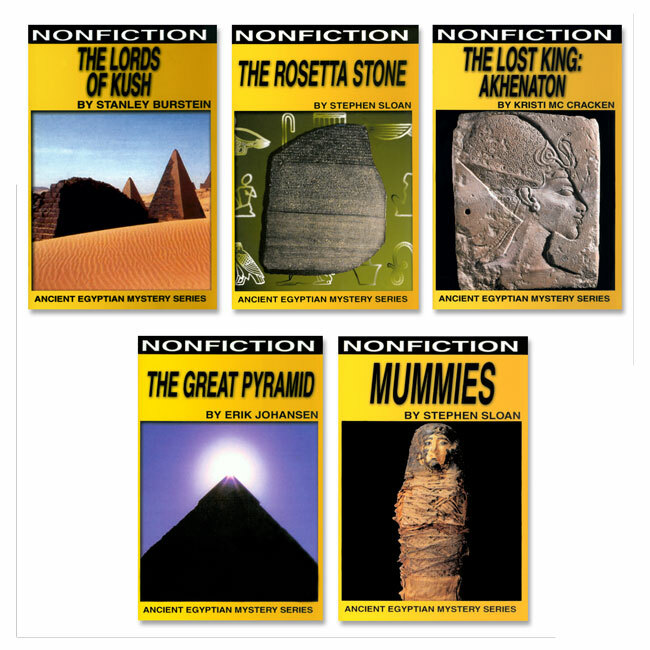 Travel to ancient Egypt and explore the facts and mysteries of how the Great Pyramid of Khufu was built, how the pharaohs of Kush took over Egypt, the religious revolution of the pharaoh Akhenaton, the process of preparing mummies, and how the Rosetta Stone unlocked the meaning of hieroglyphics. 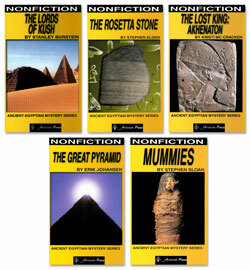 Mummies were forever in the land of Egypt. This book reveals the mystery and magic of mummy making. The Egyptian religion created mummies to insure a rich life after death. But other people in other places have created mummies tooand some still do! The oldest "Wonder of the world" stands silently and demands explanation. The Great Pyramid of Khufu is so big, so old, and so beautiful that many can't believe it was built by an ancient people but it was! And that is the greatest mystery of all- the mystery of the Great Pyramid. This is the true story of how Kush (parts of modern Sudan and Ethiopia) founded a dynasty of black Pharaohs. This astonishing civilization south of Egypt developed its own distinctive pyramid and culture and overcame both Egypt and Rome. Ancient propaganda claimed victory over the barbarians of Kush, but the truth cannot be hidden forever! This mysterious Pharaoh's ideas caused a religious revolution in ancient Egypt, and future kings would try to erase all records of him. Akhenaton's story has only recently been reconstructed. Strange in his art, his beliefs, and even his body, the king who was made to disappear has been found again. The Rosetta Stone was the key to unlocking the mysteries of ancient Egypt. This is the fascinating story of why it was made and how it was discovered. The ancient hieroglyphics are decoded in the back of the book, letting readers learn to write with the symbols of the Pharaohs. These great stories are available on a preloaded, portable go reader audio player that allows students to listen to an entire set of books (all 5 titles in set). Comes ready to play, with batteries and earphones. Easy to use, just hit the play button, and go. Length of each audio book title is approximately 45 minutes.